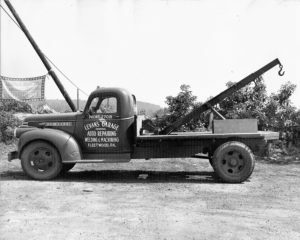 Levan Machine & Truck Equipment was started in 1936 by Walter W. Levan, grandfather of our current CEO and President, Brian V. Levan. Initially the business was a machine shop, and the machine shop was located across the street from the current location on Pricetown Road in Fleetwood. The business was located in the original building until 1946, when it moved across the street to its current location; however the original shop is still being used today as warehouse space. In the early years, our machine shop catered to local mushroom farmers and townships, providing machine, general repair, and welding services. 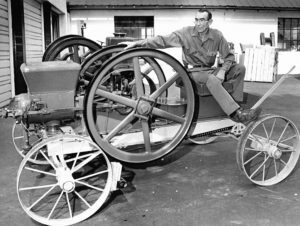 During World War II, Walter Levan served with the Navy so his wife Sarah learned to use a lathe and continued to run the business while Walter was on active duty. This allowed the company to provide services to the government for the war effort. In 1969, Carl and Janet Levan took over the company and ran it until 1993 when Brian Levan assumed ownership. We are proud to be a third-generation family business. Although there have been a few expansions since 1993, our biggest expansion was completed in July 2017 when we opened our third truck production facility. We now have buildings specifically designed to handle our most common production needs. As a result we were able to introduce a few new product lines. This building was constructed with our customers’ needs in mind, and is 8,000 square feet. We can also turn around a new truck with all of its accessories in a short period of time. With more than 80 years of business behind us, we continue to change as the machine and truck upfitting industries, and demands of our customers, also changes. We continue to add services as well as the number of product lines we offer. Our machine service extends well beyond Central Pennsylvania, and we now service customers throughout the U.S., Europe, Mexico, and South America. Our commercial truck upfitting now reaches customers in Maryland, New Jersey, Delaware and New York. Over the years, there have been many changes in both the types of services performed, the number of product lines we offer, and the work environment for our employees. We have upgraded most of our machines to CNC, and we have continued to improve and expand our facilities to keep up with the company’s growth. The focus of our company has also changed to industrial repair service, including 24-hour emergency repair.